Logic tests and word puzzle games are fun when you want time to pass faster. But the Government Communications Headquarters (GCHQ), the British espionage agency, uses such a puzzle as a recruiting tool. Can you solve this word game? If so, maybe you would be a good spy. On January 15, 2018, the BBC show called "Radio 4's Today," which features a puzzle each morning, broadcast something slightly different. It was also a puzzle, but it was designed by the National Cyber ​​Security Center (CNSC), a subdivision of GCHQ dealing with cyber security. CNSC wanted to raise the interest of young girls with their puzzle, hoping to identify teenagers who want to enter the world of espionage. Even if the challenge is addressed to students, it is not a matter of difficulty. Try to solve this puzzle and then read on to find the right answer. "13 Unthinkable stole my answer and got it ROTit with 4, then ROTit with 10 and I only stayed with Uccr ziqy hc ozz QmpsfTwfgh Uwfzg! - can you help me get my answer back? " You can find the answer below. But first, we offer some clues to help you decipher the message if you have not succeeded. This puzzle is an example of the "Caesar figure" (used since antiquity), a puzzle type in which each letter of the message is moved (or rotated) by the alphabet by a certain number of letters. Imagine a Rubik cube in letters. According to Business Insider, the phrase "13 unfinished" (rotters, in English) is itself a clue. 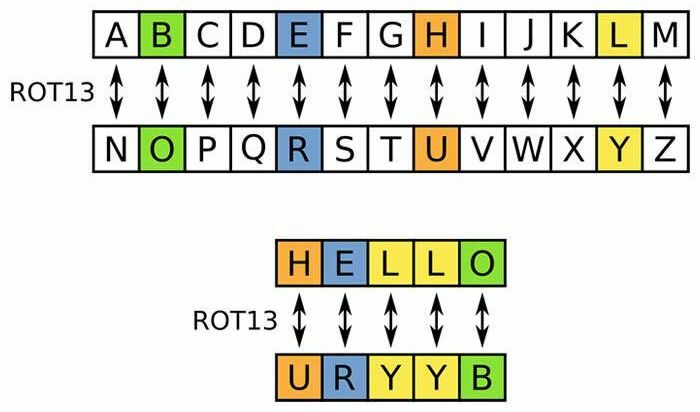 It refers to "ROT13," a cipher that moves the letters to the middle of the alphabet (A becomes N, N becomes A), replacing one letter with another, located over 13 letters. So, we find out that the puzzle uses a 26-letter alphabet. It would help you write on a piece of paper the entire alphabet before you start. Now it starts with the first letter of the code, "U". The puzzle says "ROTed it with 4", so it counts four letters in the back. You will get "Q". "And then," says the puzzle, "ROTit it with 10". Counts ten letters back and you get "G". Do the same with each letter in the code. Yes, it's trivial, but GCHQ hopes that some young curious girls have become interested in cyber security. Have you managed to solve this puzzle?